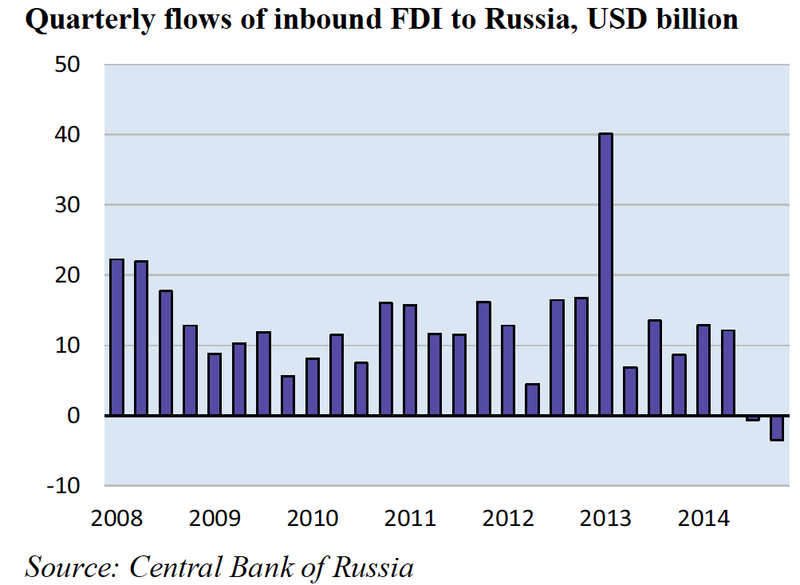 Per data reported by BOFIT, FDI inflows into Russia fell below 2009 crisis period in 2014. Average 2007-20013 inflows stood at USD55 billion, falling to USD37 billion in 2009. In 2014, FDI inflows totalled only USD21 billion. As expected, net FDI inflows became negative in 2H 2014. 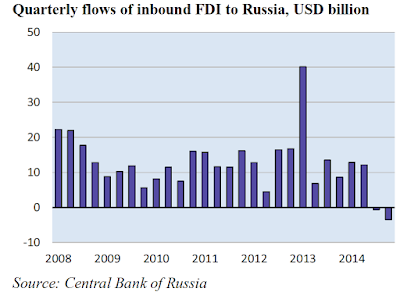 FDI outflows totalled USD56 billion in 2014, in line with the average for 2007-2013 period and relatively steady over all four quarters of 2014.